BHS TED-Ed Club members deliver their TED talks. Congratulations to our Burlington High TED-Ed Club and their facilitator, Jenn Scheffer, for being featured on the TED Blog yesterday. BHS was one of only 125 schools in the country that was selected as a pilot school at the start of the school year prior to the launch of TED-Ed for all schools last week. 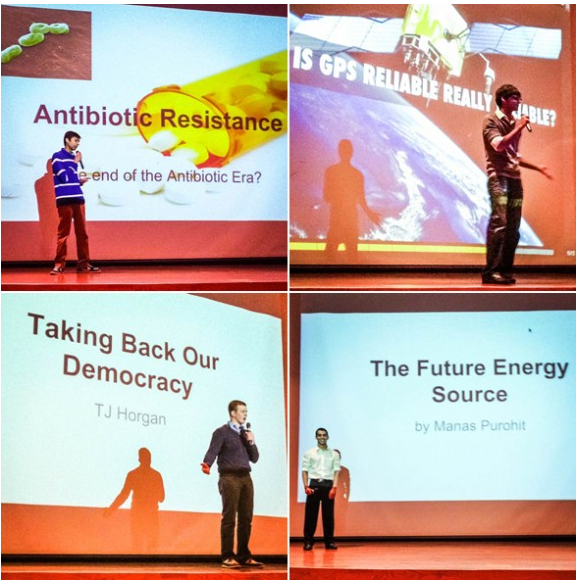 The five students involved in the pilot this past semester were Nikhil Thakkar, Manas Purohit, Ansh Bhammar, Daniel Pais, and TJ Horgan. Click here to check out yesterday’s post on TED.com Thoughts on Passion-Driven Education from a TED-Ed Club Facilitator. For more on our BHS TED-Ed Club and all of the exciting things happening in Burlington Public School be sure to check out our daily posts from the Burlington Public Schools Blog. This entry was posted in BPS In The News, School and District Honors on January 31, 2014 by burlingtonps.